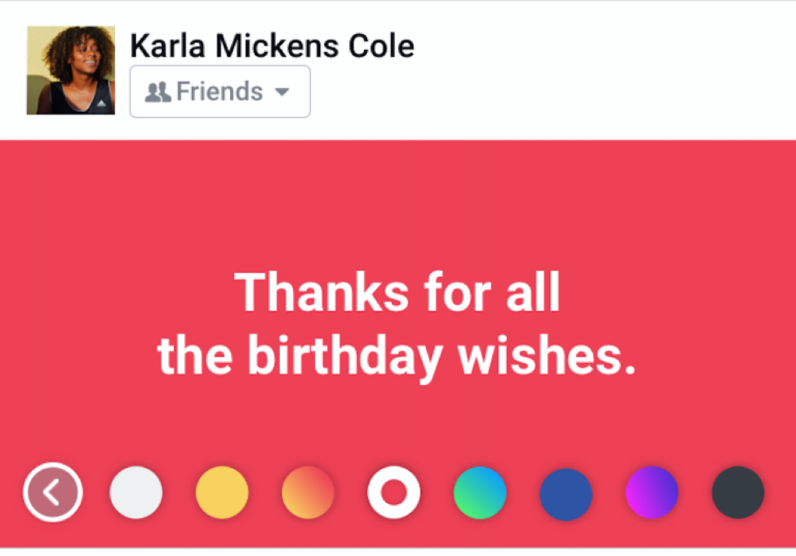 Facebook introduces the small new feature to apply the background color to your Facebook status. Now Facebook only has the white and blue color here after you can apply the color to your status message with different colors. This feature only for text post only not for your video and image post. If you share some message to your Facebook friends throw the text status it will show the popup. And have the list of colors with slider option you can pick the color and share your status to your Facebook friends. This feature only available for Android user now soon it will available for iOS and web users. Now you can see this feature on Android apps. Update your Facebook app from Google Play Store and enjoy this new feature.